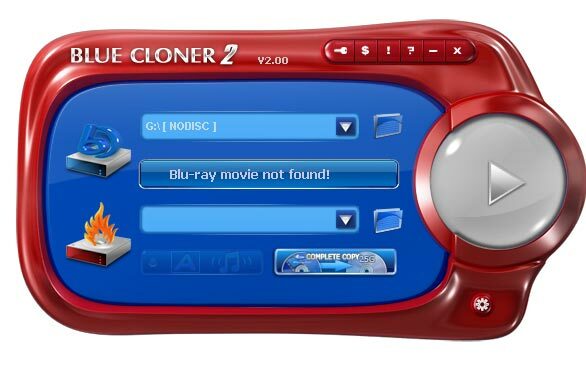 Blue-Cloner is a high-grade Blu-ray tool to back up Blu-ray movies to BD-R/REs or to the hard disk drive, with the same quality to the original video. Blue-Cloner is a high-grade Blu-ray tool to back up Blu-ray movies to BD-R/REs or to the hard disk drive, with the same quality to the original video. With the HST? technology, Blue-Cloner 2 greatly improved the Blu-ray copying speed (500% faster). Just four hours, you can enjoy your copied Blu-ray movies with high quality. Blu-ray copy becomes much easier with fast copying speed and friendly-user interfaces. With the advanced HST, Blue-Cloner 2 can finish the Blu-ray copy within four hours. Simply click on the start button and have a rest, then you'll get a perfect backup of your favorite Blu-ray movie! Removes the copy protection, region code, BD-Live and UOPs with a third-party copy helper. 4Videosoft Blu-ray to iPhone 4 Converter - Convert Blu ray DVD to iPhone 4 MP4, H.264/MPEG-4 AVC, MOV, M4V. Tipard iPhone 4G to PC Transfer - Is the professional iPhone to PC software that enables you to transfer music/movie/image from iPhone 4G to PC. BestHD Blu-Ray to HD Video Converter - Rip Blu-ray to High-Definition video formats; Rip Blu-ray to HD AVI, HD MPEG-4, HD AVC, MOV, HD TS, HD WMV.